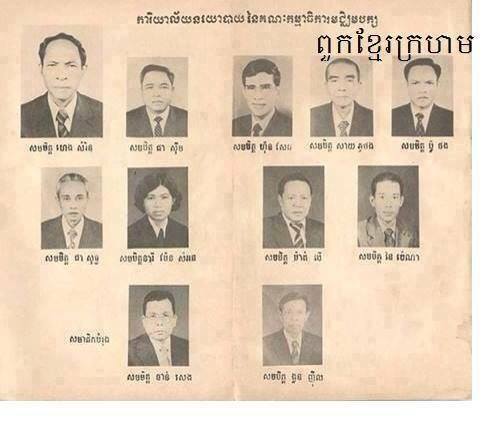 Reading two articles and listening four hours Khmer Rouge history documentary these two days, I am keen to expose some inner preconception about best choice for Cambodian leadership in handling with foreign policy especially between China and Vietnam at the present. First article is the exclusive interview of the Khmer Time Magazine with German historian Bernd Schaefer who is expert on communist intelligence networks through his work on piling of reported documents archived on the file named Stasi Dossier while East Germany was close ally with Vietnam and Soviet during the cold war. 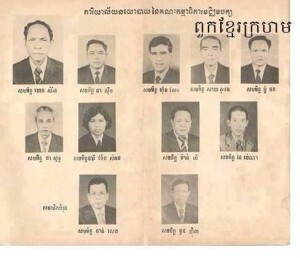 Schaefer ever described many current Cambodian government leaders are former Vietnamese revolutionists and the report described characteristic of Heng Samrin and Chea Sim as true peasant-like leaders. 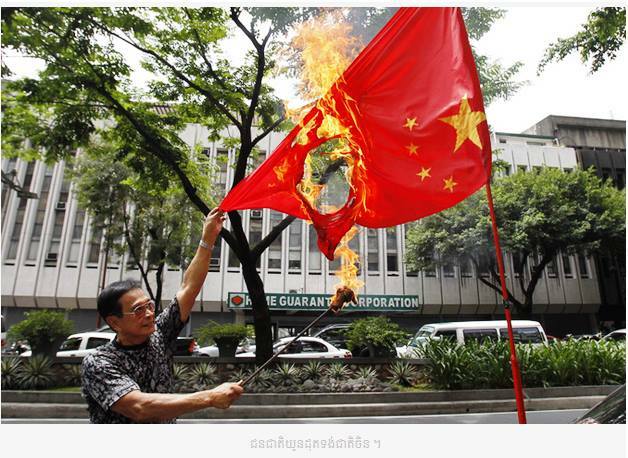 The split of Sino-Soviet led to waging war at the border in 1969 triggered irk for Vietnam who has closely incorporated with China to topple the America. Thus, the geopolitics right in that time was Vietnam who suddenly decisively opened attack against Khmer Rouge and drove them away from Cambodia by installing their own government. 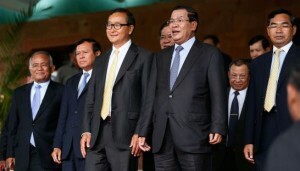 Vietnam’s decision was noted that while Chinese leadership was having internal uncertainty regarding cultural revolution as well as visible weakness displayed by the Khmer Rouge’s internal dividing leadership, the attack happened spontaneously. However, the aggression happened during the early month of January was not paid attention by the western world as they were busy in celebrating new year eve and Christmas. To maintain its face, China opened attack Vietnam on the borderline 30 days later on February 17, 1979. According to Schaefer, the history seems repeat itself as China and Vietnam is clumsy at each other at the present because of Spratley Island scheme. 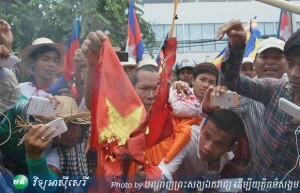 Between China and Vietnam, Cambodia must ensure that it chooses the geopolitics right. Second, screening the 583 pages titled “Kicking the Vietnam Syndrome in Cambodia“, his view is in parallel with Schaefer’s in term of geopolitics right. Impressively, during the fierce fighting between Thailand and Vietnam on an unsettled agreement to divide Cambodia land for their occupation, Thailand who was more powerful sent a legitimate Khmer King Ang Duong to the Cambodian throne in the expect to enlarge influence over Vietnam. However, the geopolitics changed as Western colonists were looking for new territories in this region including strong subconsciousness of King Ang Duong to free his land from both hegemony, his sovereign was admired in an attempt to welcome new comer like France to safeguard his territory. 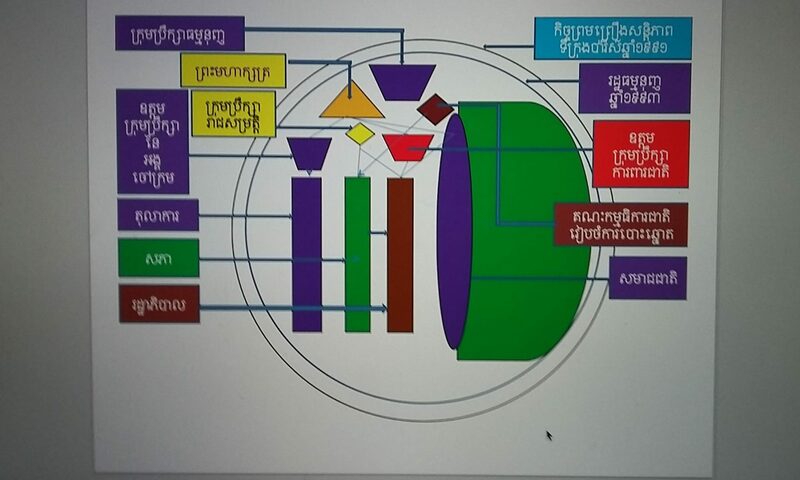 Third, spending more than four hours while doing some chores and listening the youtube documentary broadcasted by RFA, it is understandable the remarkable demise of the Khmer kingdom under ultra nationalism, paranoid and xenophobic leadership of Pol Pot and his team. Comparing to Vietnam who experienced narrow space to move around after they defeated the America, but China shied away from them while Russia fought with both China and America, the prospect to maintain peace and unity of Northern and Southern Vietnam was so dim. So the decision to invade Cambodia is a one stone two birds action: good time to get more aids from Russia and waging a war than can unify the dividing fractions of Vietnam. 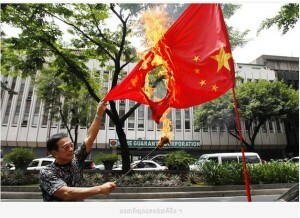 More than this, King Ang Duong had no choice at all in using his own leverage to face with both Thailand and Vietnam. He was raised and educated in Bangkok since childhood. His returning back home was seen so fragile and disorganized. But opportunity arose as he worked hard to strengthen the country unity and secretly contact France if this colonist interested to be his nation guardian. But Khmer Rouge under Pol Pot leadership and his team had everything in hand during their power. Pol Pot can easily court China and US to fight against Vietnam or achieve their ambition to reclaim Khmer Krom territory back. But this group is too bossy, disorganized, ultra nationalistic, ignorant, unproductive, xenophobic, and paranoid. Their management begun with displacing people from their own shelter in order to prey enemy or those suspected. The weakest point that Pol Pot lost their geopolitics right opportunity is the destroying of his own manpower. Leadership that take their own citizens as hostage and enemy is the worst management in the history of human kind. So right now, after the agreement on 22 July 2014 between CNRP and CPP, the twilight for Cambodia strength on political management is the jewel to choose geopolitics right. While opposition has promised to perform as “Loyal Opposition”, the government must pursue political pragmatism and integrity to conduct in-dept reform. “National solidarity” and “Cambodian people first service” will enable “extra strength” to paddle this Cambodia ship in a right direction in between China and Vietnam.